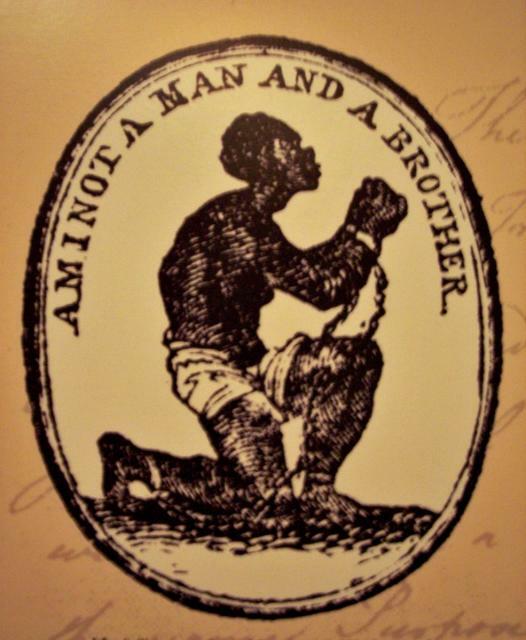 The design was commissioned by the mater potter Josiah Wedgwood, a committed supporter of the abolition cause and initially manufactured by his company as a ceramic medallion. The image and slogan were much copied and reproduced on a wide variety of other items in order that sympathisers could clearly show their allegiance to the movement. With kind permission of the Wisbech and enland Museum.